If you’re in search of some new sporting gear, you’ve come to the right place. 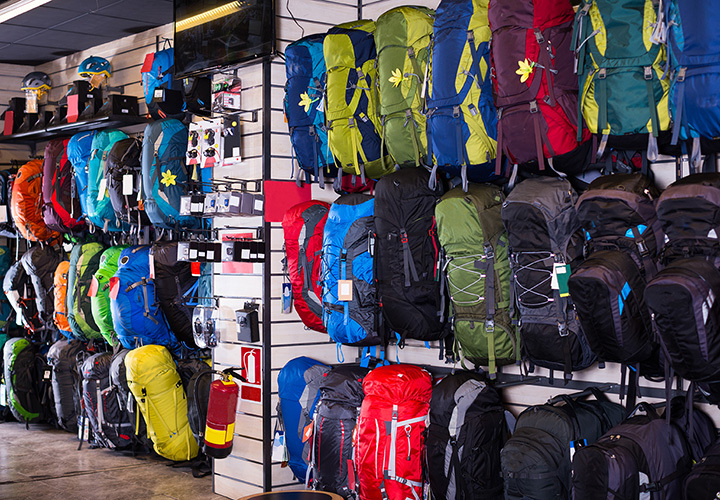 In Missouri, you’ll find sporting goods stores offering big-name, well-respected brands, outdoor recreation equipment, and all the other accessories you’ll need for your favorite physical activity. Here are the best sporting goods stores in the state. Open six days a week, Championship Sports is ready to help you with all your sporting needs. With a wide range of sports equipment, guns, and accessories, the store is a great place for you to start when looking for new items for all your activities. Also, they are the go to place for letter jackets, engraving, and trophies. Check out their website for more information on their hours. Since 2008, Fleet Feet Sports is open to helping you will all your sport needs, including running, training, and fitness. The shop also offers training for new and experienced runners with groups like No Boundaries Couch to 3.1, Thursday Night Social Run, and Summer Mileage Club. Visit their website for more information on their location and hours of operation. With the passion of hunting and fishing, store owner Denny Dennis opened the store 60 years ago. For sporting enthusiasts, the equipment available at the shop includes fire aims, archery, tackle and reels. From duck season to deer season, you can find your gear for all your outdoor adventures. Check out their website for more information on their hours and inventory. For those looking for a place for fishing or hunting gear, Rogers Sporting Goods has a well-stocked inventory and competitive prices. For more than 35 years, the store has helped customers with great customer service and low prices on things like arrow, ammo, and accessories for all types of hunting. Visit their website for more information on what they have in store and hours of operation. As a family owned and operated store, Dunn’s Sporting Goods is dedicated to helping customer with all their sporting needs. Whether you are looking for a new duck call or decoy for hunting, their store is sure to have what you are looking for. Stop in during their business hour or check out their website for more information on their inventory. They are ready to get your geared up for hunting or fishing in the great outdoors. If you are looking for a place to gear up your football or soccer team this coming season, try Johnny Mac’s Sporting Goods in St. Louis, Missouri. With a wide selection of apparel, footwear, and equipment, you will be able to find what you are looking for each player. This family owned and operated shop was born from the love of sports and local teams. They continue to aspire to provide top quality customer service and competitive pricing for all their customers. Stop in when you are in town or find out more about their store online by visiting their website. Opened since 1989, Maurer’s Sports has offered the best in customer service and sports brands for their customers year-round. They also have inventory for those looking for sports apparel, like uniforms, spirit wear, and various letter jackets. To gear up for the season, you can stop by their shop Monday through Saturday to find what you need. Check out their website for more information on the brands they carry and hours of operation.